The best way to experience the true flavor of peanuts and the richness of the milk chocolate. Size Choose Size - 18 oz. 40 oz. 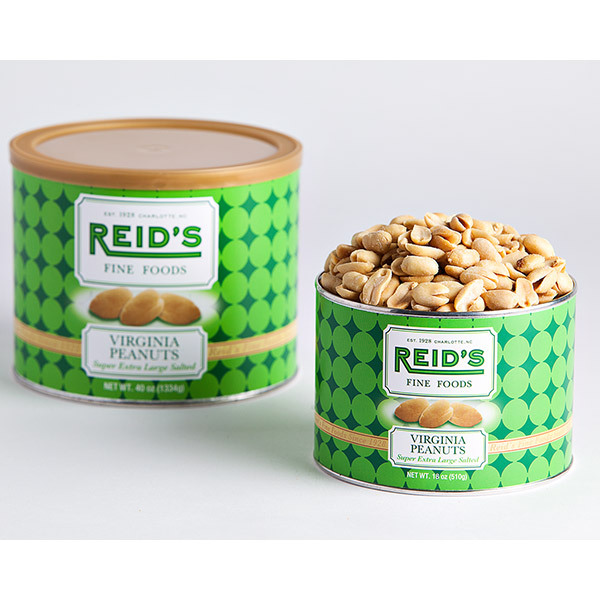 Reid's Chocolate Covered Peanuts are a mixture of extra-large salted Virginia peanuts covered in 100% pure milk chocolate. Shelf-Life is approximately 1 year (unopened). © Copyright 2019 Reid's Fine Foods. All Rights Reserved.